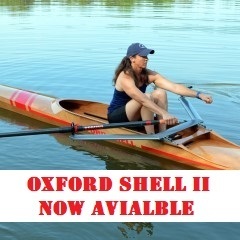 Engine - 2hp Honda 4 stroke. 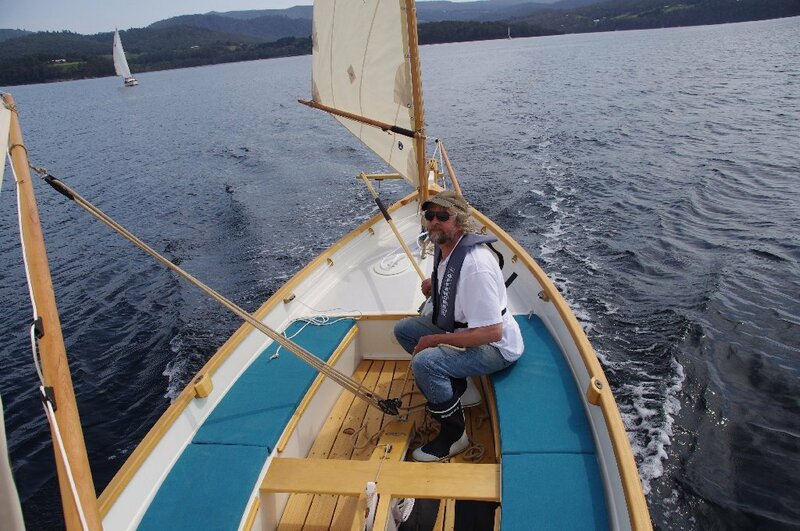 This engine has enough power to push the boat just over 5kts in flat water at 2/3 throttle. 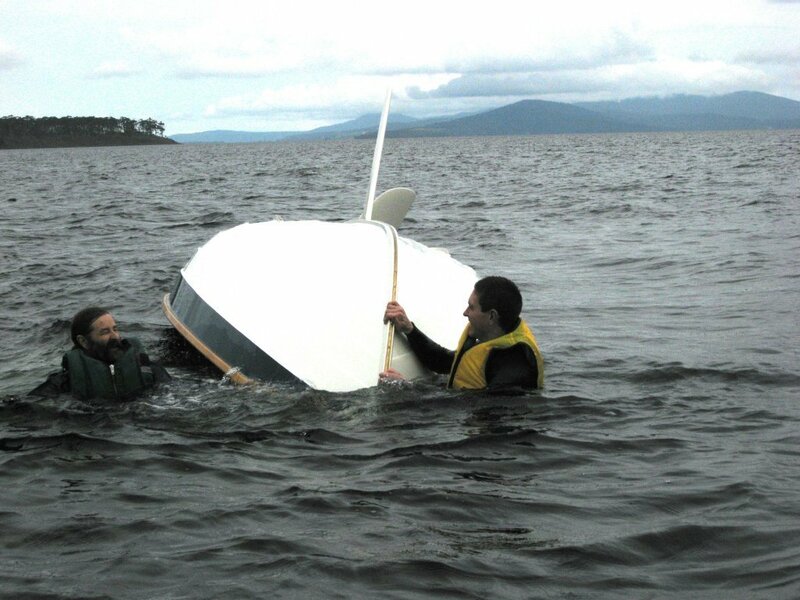 The motor is also lightweight (just over 12kg) and is air cooled removing the need to flush the engine cooling system after use. 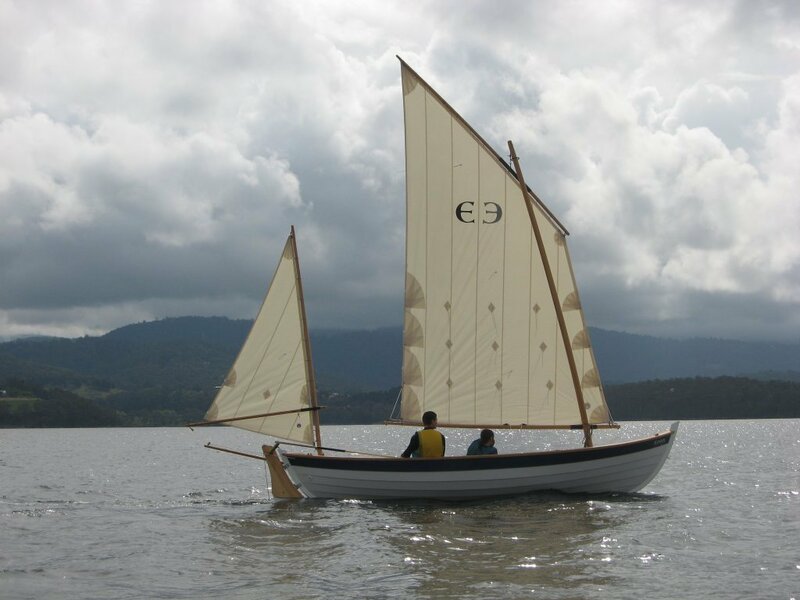 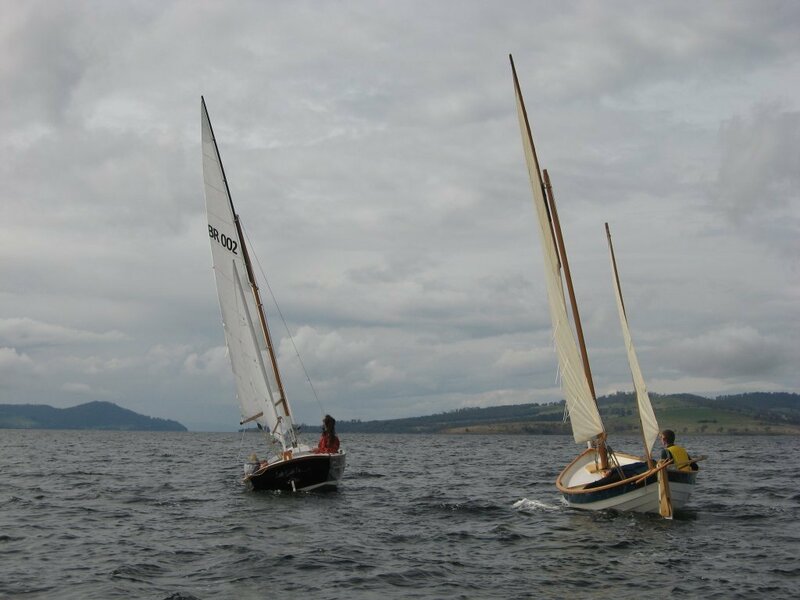 The Caledonia Yawl, designed by Iain Oughtred, is a large, versatile, and eye-catching double ender with a breathtaking sheer. 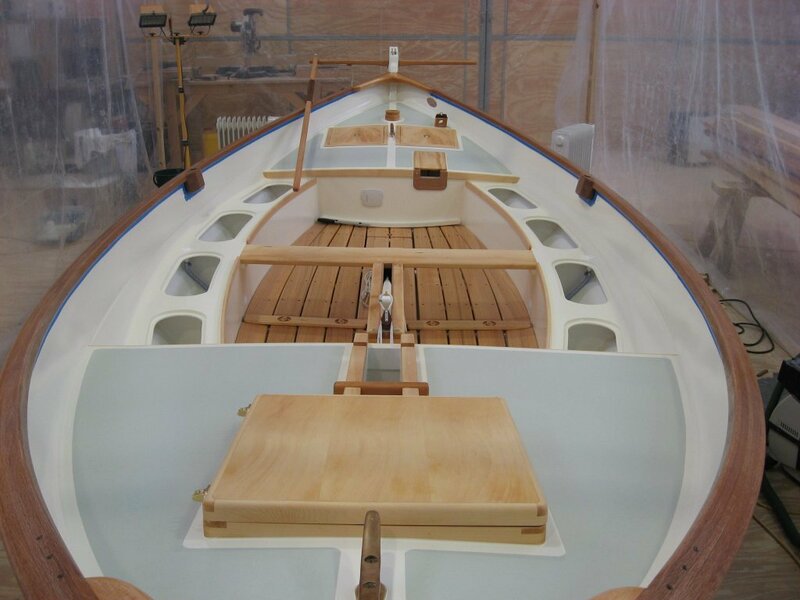 Based on an inshore fishing boat from the Shetland Islands, this 19'9" double-ended, lapstrake hull pays homage to her notable Viking ancestry (featured inWoodenBoat 183-185). 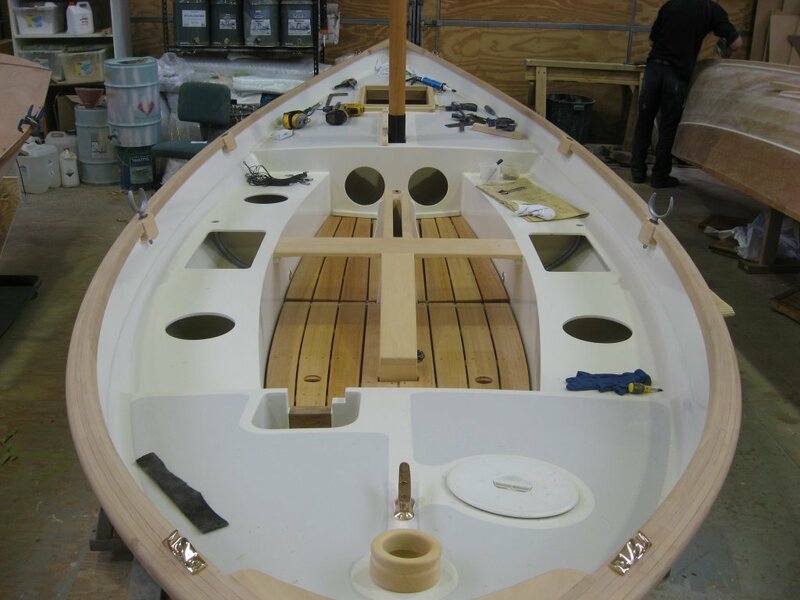 This modern version is built with epoxy-glued marine plywood, and is quick, maneuverable, easy to trailer, and requires low maintenance. 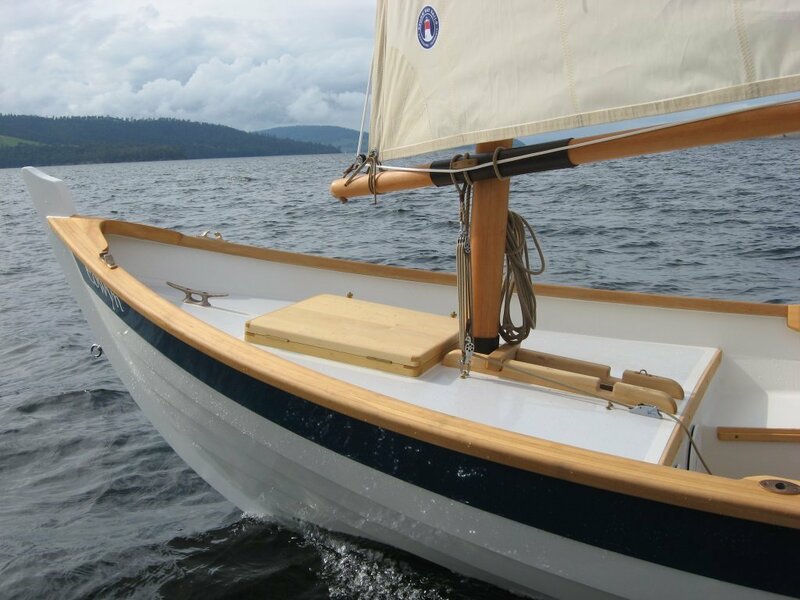 Her simple traditional rig belies a wonderful, seaworthy craft whose performance routinely dazzles observers. 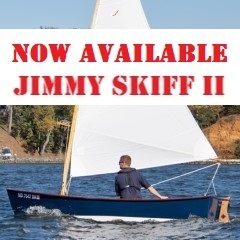 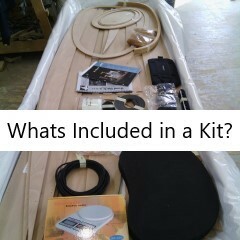 It is an extremely easy boat to sail and is easily sailed one up. 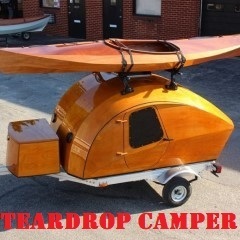 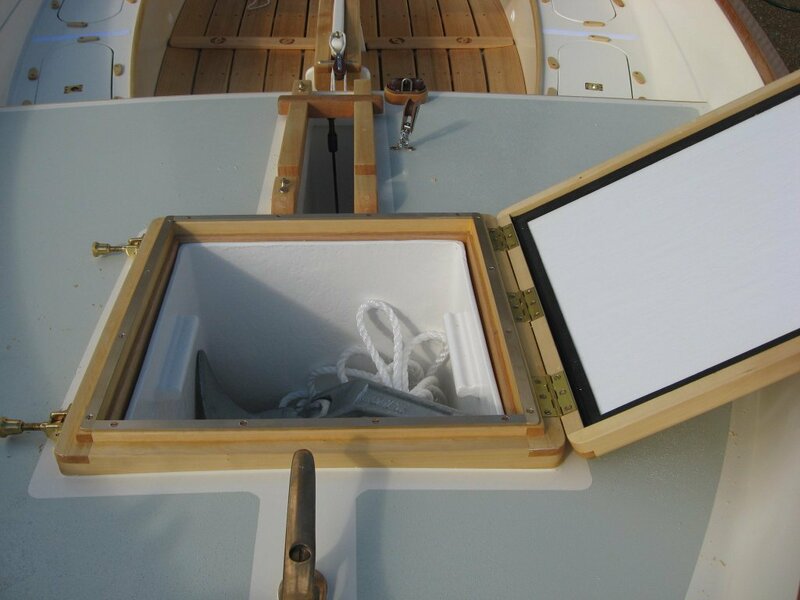 The custom trailer is designed for easy single handed launch and retrieve. 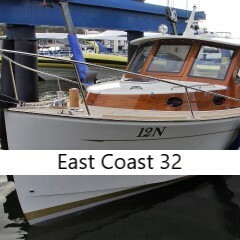 The boat is ideally suited to day sailing and beach/camp cruising for up to 6 adults. 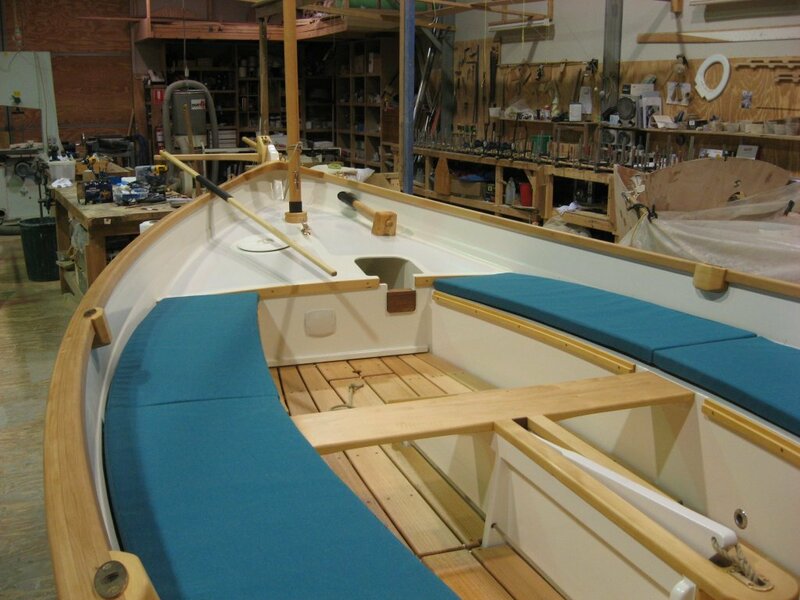 This particular vessel is the new 7 strake decked version of the Caledonia yawl with the addition of side bench lockers for storage and extra buoyancy. 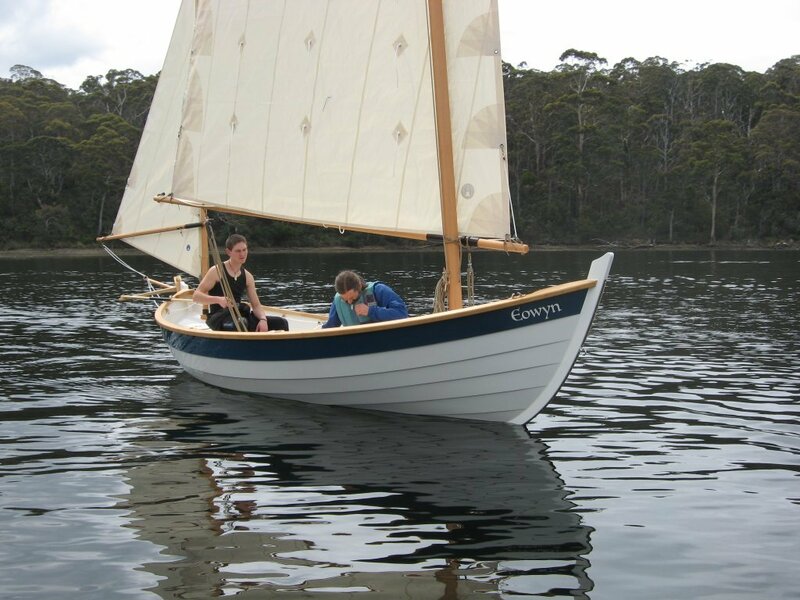 We have probably built more Caledonia Yawls than any other business in Australia so for further information or if you would like to have one of these beautiful boats built please contact us.